It’s been ten years since the Australian won his first ever PGA Tour event, and a year later he won the unofficial 5th major in golf – the Players Championship. 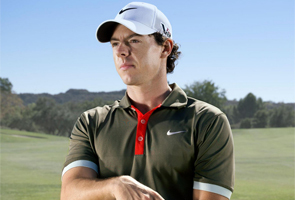 He was labelled as the next big thing in golf, and a certain future major winner. However it didn’t go quite to plan, Scott lost ground as he approached 30 as he looked for a consistent putting stroke. Now, a few years later, he’s the Masters Champion after beating Angel Cabrera in a playoff – overshadowing his second place finish two-years ago to finally win a Green Jacket for Australia. Scott has come close in all the majors throughout his career, so this shouldn’t be a one-off thing. He’s finally broken through and is still only 32, so it’s impossible to rule him out to take a few more major titles in the future. 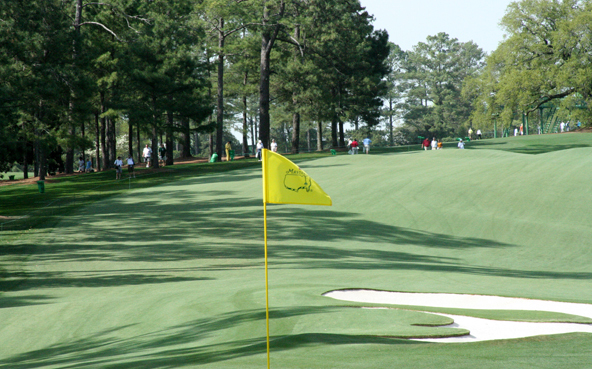 The 2013 Masters provided one of the most memorable major championships in golf history. The Runner Up (Angel Cabrera) – El Pato as he’s affectionately know is relatively low on the radar in the states, despite already winning the U.S. Open and Masters. He’s one of the veterans who have spent time away from the game due many injuries which have included needing to have many of his teeth replaced. The Argentine was ranked No.269 in the world at the beginning of the week, and it’s certain that he will continue to make good use of his lifetime Masters invite to turn up and contend at Augusta again. He only has two PGA Tour wins in his entire career, and both are majors, and this was the second time in the past three years that he was in the ultimate group on Sunday at Augusta. Needing a birdie on the last he perhaps managed to hit one of the best ever approach shots in the history of the Masters, putting it to just five feet of the usual Sunday pin placement to force the playoff. Two perfectly-played extra holes later, Cabrera shrugged his shoulders, smiled, and gave the new Masters champion a big hug. 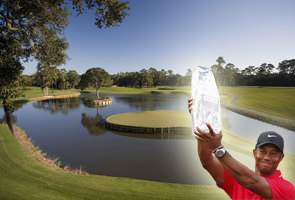 The Favourite (Tiger Woods) – Woods was tied for the lead after 14 holes of his second round. Augusta was electric and The Masters was set up for an exciting weekend. However the 14-time major champion was very unlucky to see his approach shot, to the long 15th, hit the flagstick and rebound back into the water in front of the green. This unfortunate slice of luck left him with three options. He could either drop the ball in the nominated drop zone just short of the pond; he could go back as far as he wanted on the line the ball last crossed the hazard; or he could go back to play the ball “as nearly as possible at the spot from which the original ball was last played”. The four times Masters Winner chose the latter, hit onto the putting surface and got away with “just” a bogey six, completing his round at three under. But, news broke late on Friday night that there was a problem. The following morning, the Augusta National issued a statement saying that they were made aware of the problem by a Television viewer before Tiger had completed his round. Originally Wood’s drop was seen to be legal, however after review of the incident, due to him stating that he dropped the ball “two yards further back”, it was determined that he had violated the rule which governs drops from yellow-marked (lateral) water hazards – and consequently handed a two-stroke penalty. Historically, that would have meant that he would have been disqualified because he had signed for an incorrect score – a six rather than an eight. The Caddie (Steve Williams) – It was a great weekend for Tiger’s former caddie Steve Williams. Williams is the first to “win” a major since the partnership had their not so clean break-up. He called Adam Scott’s winning birdie putt the “highlight of my career” – perhaps a little kick at Tiger considering the twelve unbelievably successful years they had together as a team. 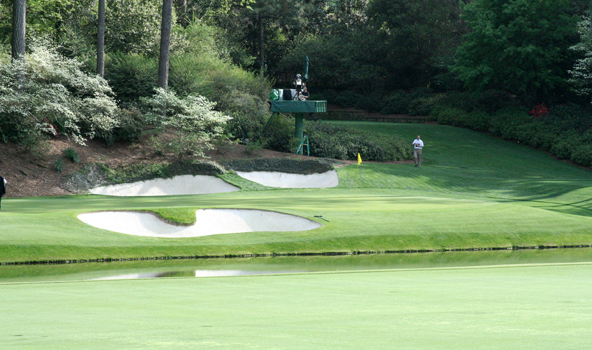 2012 Masters Champion Bubba Watson managed to card a 10 on the par-3 12th, after losing three balls to the drink. The Record Breaker (Tianlang Guan) – The 14-year-old amateur was the focus for a lot of the media attention leading up to the first day of the tournament itself. Perhaps just something to write about before the big boys tee’d off. However Guan managed to hang around, much to most people’s surprise – he was one of the major talking points all weekend. The slow-play penalty he received on the Friday sparked a rules debate that was quickly overshadowed by the more important rules drama with Tiger Woods. Tianlang Guan was not just content with making history as the youngest ever player to compete in The Masters, he also aimed to make the cut. In doing so he set a new record as the youngest ever to get to the weekend after a nervous wait out as the 10-shot rule cut line shifted. In addition to his record-breaking weekend, and what is maybe most impressive, is that he was the best amateur for the week. He shot lower than the American and Euro College stars as the only amateur to make the cut and consequently the Silver Cup. One thing that I’m pretty sure about is that the two records he set this weekend won’t be broken anytime soon. 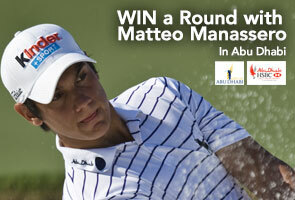 14 years-old and not only playing in The Masters but also making the cut = gobsmacked!! The Old Guys – There were ten over 50’s competing in this year’s Masters Competition: Vijay Singh (50), Fred Couples (53), Larry Mize (54), Bernhard Langer (55), Sandy Lyle (55), Ian Woosnam (55), Mark O’Meara (56), Craig Stadler (59), Ben Crenshaw (61) and Tom Watson (63). However it wasn’t just for a laugh, four of the over 50’s managed t o make the cut! Couples, Langer, Lyle and Singh produced some great golf over the four days (especially when you consider their age). Bernhard Langer was 5 under by the 5th hole in his final round and was right in the mix with the rest of potential champions as was Fred Couples who finished the tournament in a very respectable tie for 11th at 1 under for the championship, just 8 behind the eventual winner. Print article This entry was posted by Jerome on April 16, 2013 at 3:20 pm, and is filed under General. Follow any responses to this post through RSS 2.0. You can leave a response or trackback from your own site.